Does Music Help With Mental Health? 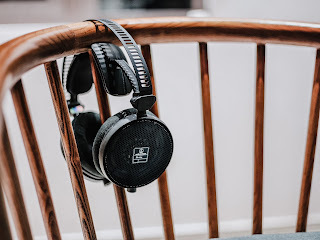 Hope you're doing well, I have decided to do today's post on music and how it affects our mental health. Back when I was at university I decided to do a study about heavy metal music and if it affects our mental health - it was very interesting! I have done a little more research into music as a whole to see what it does to our brain. What does music do to our brain? A study was completed and found that Dopamine is a chemical that releases in our brain at peaks of enjoyment when listening to music. This was found by studying people's brains whilst listening to music - they looked at scans through MRI and PET machines to prove this point. Although as known by most dopamine increases through other things as well such as when we eat food and in response to money. Releasing dopamine produces a feel-good state and can make someone feel happy. However when this study took place it was found that dopamine were 9% higher when volunteers were listening to music they liked. A small group of people had a few sessions where they were told to listen to music they were neutral about whilst having a scan and then they swapped it to music they really enjoyed. The data gathered meant they could estimate the amount of dopamine release. They found that the dopamine transmission was higher when they were listening to music they enjoyed. Although while doing this experiment it was only with instrumental music as they didn't want any verbal associations to affect it. You can read more about this study here. 🕪Music can improve your cognitive performance. Research suggests that background music that is being played whilst someone is focusing on a different activity (like me writing this blog and listening to music for example), it can improve performance on cognitive tasks. Although it might be better to listen to instrumental tracks as ones with lyrics may distract you. Sometimes when you're feeling stressed listening to some music can really help. As from what you read above, your brain releases dopamine and it helps to change your mood. 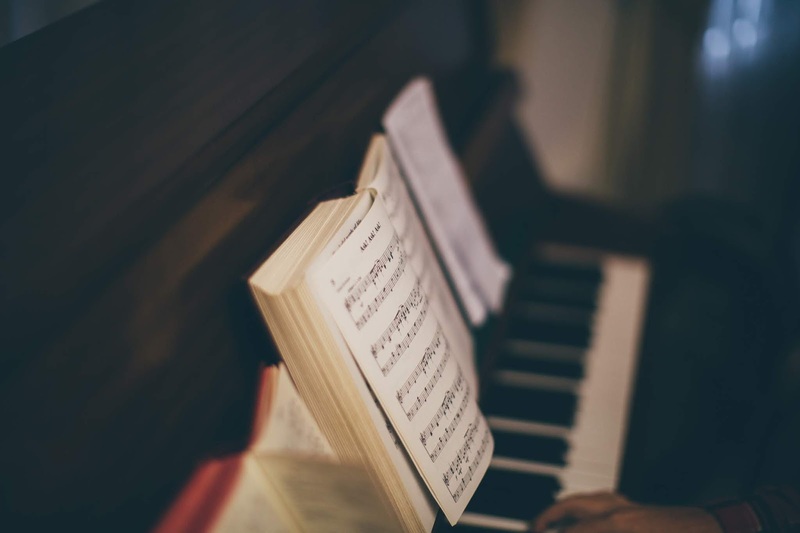 There is research out there that suggests that music can help with memory but it depends on what type of music you listen to, how much the person is enjoying it and even how musically well-trained the listener is. 🕪Music can help with pain. There's been many studies that prove this. For example there was a study done with fibromyalgia patients which found that those who listened to music for an hour a day experienced a reduction in pain. It was split so some patients listened to music once a day for four weeks and the other half received no music treatment. The results were that those who listened to the music didn't feel as much pain and depression - shows just how important music therapy can be. There's so many more studies out there to prove this point. 🕪Music can help you sleep better. This is something I do sometimes when I'm struggling to sleep. I'm sure you've seen many apps or many YouTube videos where they play calm music to help you get to sleep. You can check out more benefits here. How do you feel when you listen to your favourite music? It wasn't really a surprise to me to find that music is good for your mental well-being. This is because when I listen to something I really like it always makes me feel better, even if it is just a short burst of happiness. Play something now that you love and see how it makes you feel. Are you immediately singing along to it? Are you dancing? Are you smiling? Does it make you feel more relaxed? 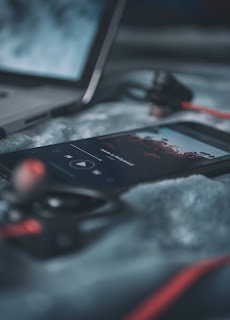 Even though the experience mentioned above is only instrumental music when listening to songs with lyrics I think it also helps with changing your mood - and obviously this being down to the dopamine that your brain releases. There are also plenty of articles written about the negative impacts of music but I wanted to keep this a positive post, but I'm sure you've seen plenty of articles linking heavy metal music to people becoming violent. I have also seen articles on 'sad' music having a negative affect on our mental health but if you're interested I'll do another post on this! Let me know in the comments what you love to listen to when you're feeling stressed? Thank you for reading and as always, chat soon! →I get images from unsplash if they aren't my own, check it out here. You can use the images for free but you can of course credit or say thank you to the artist. →Also some links may be affiliate links so I can get a small amount of money through them. Products I'm wearing: Rimmel Lasting Finish Breathable Foundation , Soap And Glory Thick And Fast Mascara High Definition Collagen Coat Formula , Rimmel Lasting Finish Blush , Rimmel London Exaggerate Liquid Eyeliner , and a eye shadow pallet I used for my eyebrows too from Spain! It always baffles me to see studies linking heavy metal to violence, since most of the metal fans and artists that I've ever interacted with tended to be fairly pacifistic folks - but the political and temperamental nature varies with fans of ALL music types, I suppose. I tend to really enjoy creating playlists as a writer to get me in the mood for certain types of scenes, settings and characters. Since NaNoWriMo is almost upon us, I've been getting my Spotify playlists ready to go and discovering new music that reminds of certain elements of my writing project is really exciting! This is a very interesting and informative post Chloe. I love music though I don't sing and doesn't play any instrument But I use it for the things you stated above. I even listen to music while I read. But usually I listen to instrumental.. My favorite are soundtracks, The Lord of the Rings and The Hobbit soundtrack are really good. When I was stressed at work (nurse), I used to use my break to sit in a dark room and listen to Autumn in New England or Classical Thunder. It would help slow down my mind and relax me, even if only for 10 minutes. 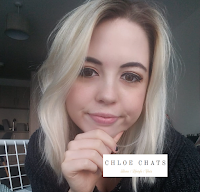 How blogging has helped my mental health. How to learn to love yourself. World Mental Health Day 2018. Can Video Games Affect Your Mental Health?